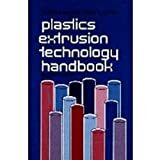 Handbook of plastics and elastomers / Charles A. Harper, editor-in-chief. Call number: 668.40202 HAR Ref. Material type: Book; Format: print Publisher: New York : McGraw-Hill, Online access: Click here to access online Availability: Items available for reference: [Call number: 668.40202 HAR Ref.] (1). User's practical selection handbook for optimum plastics, rubbers and adhesives / International Technical Information Institute. by Kaigai Gijutsu Shiryo Kenkyujo (Tokyo, Japan). Call number: 668.4 ITI Ref. Material type: Book; Format: print Publisher: Tokyo : The Institute, 1976Online access: Click here to access online Availability: Items available for reference: [Call number: 668.4 ITI Ref.] (1). Call number: 620.1923 ATH Ref. Material type: Book; Format: print Publisher: Bombay : Multi-tech, 1980Online access: Click here to access online Availability: Items available for reference: [Call number: 620.1923 ATH Ref.] (1). Handbook of toxic properties of monomers and additives / Victor O. Sheftel. Call number: 615.951 SHE Ref. Material type: Book; Format: print Publisher: Boca Raton, Fla : Lewis Publ., c1995Online access: Click here to access online Availability: Items available for reference: [Call number: 615.951 SHE Ref.] (1). Handbook of thermoset plastics / edited by Sidney H. Goodmen. Call number: 668.422 HAN Ref. Material type: Book; Format: print Publisher: Park Ridge, N. J. : Noyes Publ, 1986Online access: Click here to access online Availability: Items available for reference: [Call number: 668.422 HAN Ref.] (1). Call number: 668.411 FLI Ref. Material type: Book; Format: print Publisher: Park Ridge, N. J. : Noyes Data Corp., c1986Online access: Click here to access online Availability: Items available for reference: [Call number: 668.411 FLI Ref.] (1). Call number: 668.4 HAN Ref. Material type: Book; Format: print Publisher: New York, N.Y. : Wiley & Sons, c1990Online access: Click here to access online Availability: Items available for reference: [Call number: 668.4 HAN Ref.] (1).